In a recent blog post, we talked about company culture and ways to go about improving it in the workplace. Company culture refers to the values, beliefs, and attitudes that serve as guiding principles for employees. 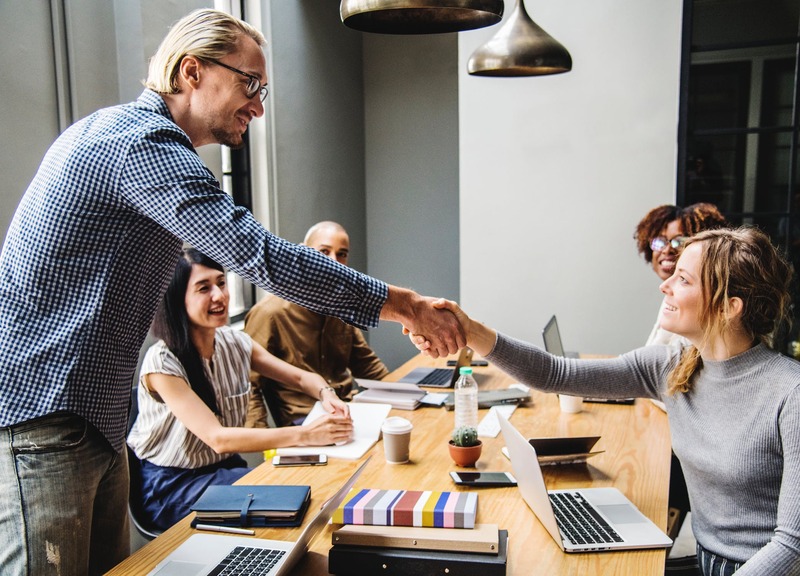 There are several companies out there that are making big waves in this sector, including Google and Zappos, and in this article, we’re going to go over three examples of companies that offer top-notch company culture. It’s no surprise that the standard work day (nine to five) doesn’t mesh with most people’s schedules and creativity. Google is one of the first companies to acknowledge that they can actually benefit from offering flexible schedules to its employees. They let their employees decide when they’d like to work, giving them ample freedom when they need to leave early for dentist appointments or to pick up the kids from school. The Google office environment is unlike anything you’ve ever seen. The workplace doesn’t feel like work, which is difficult for many companies to achieve, and the company makes a point to provide its employees with free healthy foods, gym memberships, and nap pods for when you need fifteen minutes of shut-eye. Adobe is another company known for its incredible company culture. Many employees rave about working here because Adobe has created a culture that avoids micromanaging, trusting employees to do their best each day. They also offer holiday pay, retirement plans, and education reimbursement to each employee. There are onsite organic cafes where employees can go to pick up a heart-healthy snack, and the company doesn’t use ratings to establish employee capabilities. Instead, the company has managers who take on the role of a coach more than anything else. 1. Deliver wow through service. 2. Embrace and drive change. 3. Create fun and a little weirdness. 4. Be adventurous, creative, and open-minded. 5. Pursue growth and learning. 6. Build open and honest relationships with communication. 7. Build a positive team and family spirit. 8. Do more with less. 9. Be passionate and determined. New employees at Zappos are offered $2,000 to quit after the first week of training if they feel that the company isn’t a great fit for them. Rather than office politics, employee raises are determined when workers pass a skills test or exhibit increased capabilities. The company also takes the cultural fit very seriously, so much so that each manager is expected to spend 10 to 20 percent of the department’s time on employee team building activities. These activities can range from movies to family outings and events, giving employees something to look forward to throughout the work week. If you work in the New York or New Jersey area, consider partnering with Perkaroma for your office supply and breakroom supply needs. With more than 50,000 quality products and automatic restocking programs, we can help fill your office space with healthy snacks, premium coffee, and so much more. Check out our products online today.